As soon as CVE-201501635 was created, a clock started – the clock of who will get an exploit to attack machines. on 02/17/2015 which means that now all the hackers know there is a potential vulnerability HTTP.sys Remote Code Execution. So guess what will happen? Now the hackers will try and find a way to hack http.sys by using the current Metasploit attacks, and potentially changing the scripts to make a successful attack. In the meantime the Microsoft engineers have to figure out a way to set up the http.sys code in such a way where it does all the functionality and fixes the vulnerability. 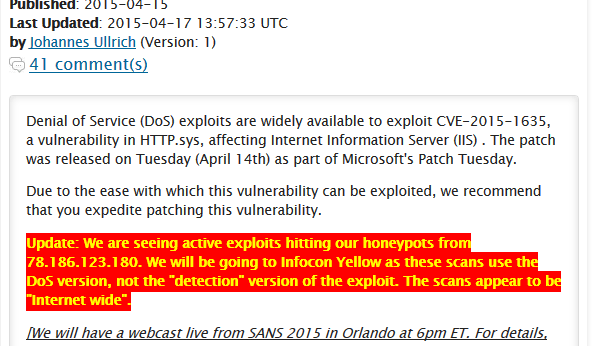 Notice the infocon Yellow upgrade due to the new vulnerability and attacks. So you say big deal – now everyone will patch their systems and the vulnerability will no longer be an issue. That would be true but there is this problem where not everyone patches their computers. There are attacks on the Internet of 5 year old vulnerabilities. People are hacking Windows XP systems which are obsolete as of 8th, April, 2014 Microsoft no longer created patches for new vulnerabilities found for the software in a WindowsXP machine. And we know there are at least 3% of all computer systems still WindowsXP (which are very easy to hack). 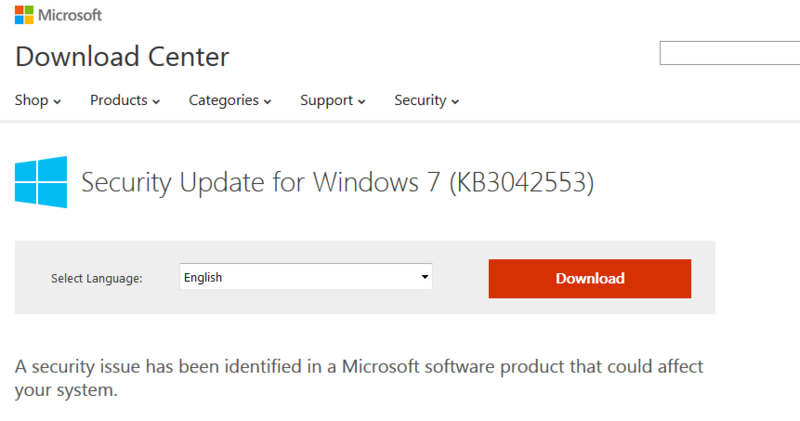 We recommend that you patch your systems once you test the systems, and upgrade away from WindowsXP as soon as you can. Next Next post: What Does Dark-Net Improving Mean? We Get Hacked Soon!